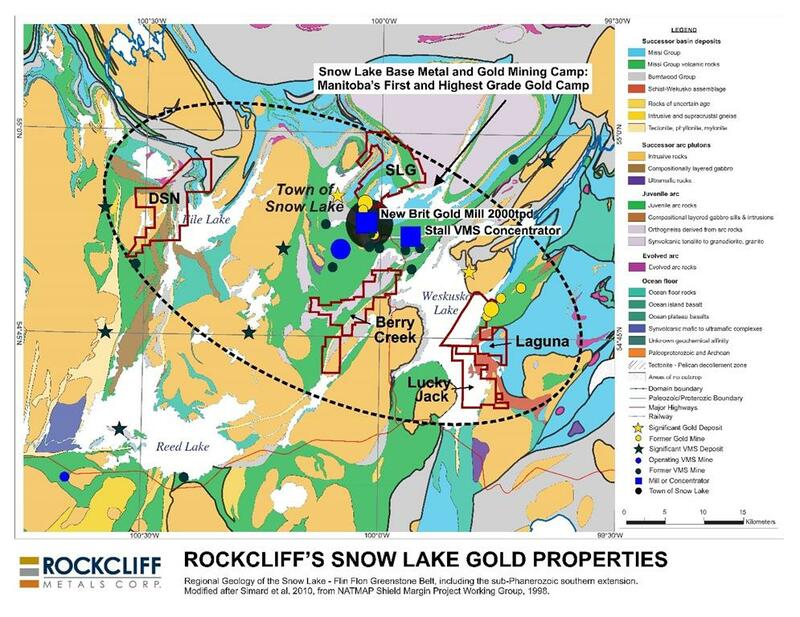 Toronto, ON – July 27, 2018 – Rockcliff Metals Corporation (“Rockcliff” or the “Company”) (TSX.V: RCLF) (FRANKFURT: RO0, WKN: A2H60G) is pleased to announce that further to its press release of May 8, 2018, it has received a payment of $150,000 from Norvista Capital Corporation and closed the sale of its interest in the Talbot Option Agreement and the Talbot Property to Norvista Capital. 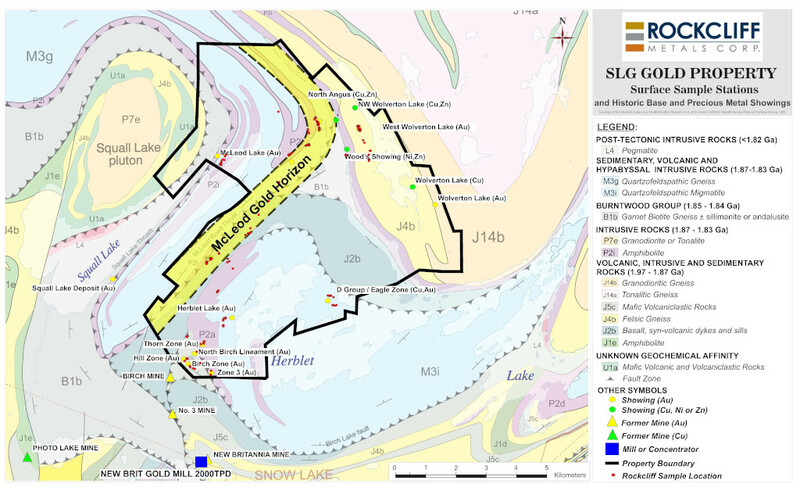 The Talbot property is within the world class Flin Flon-Snow Lake greenstone belt located in central Manitoba, Canada. 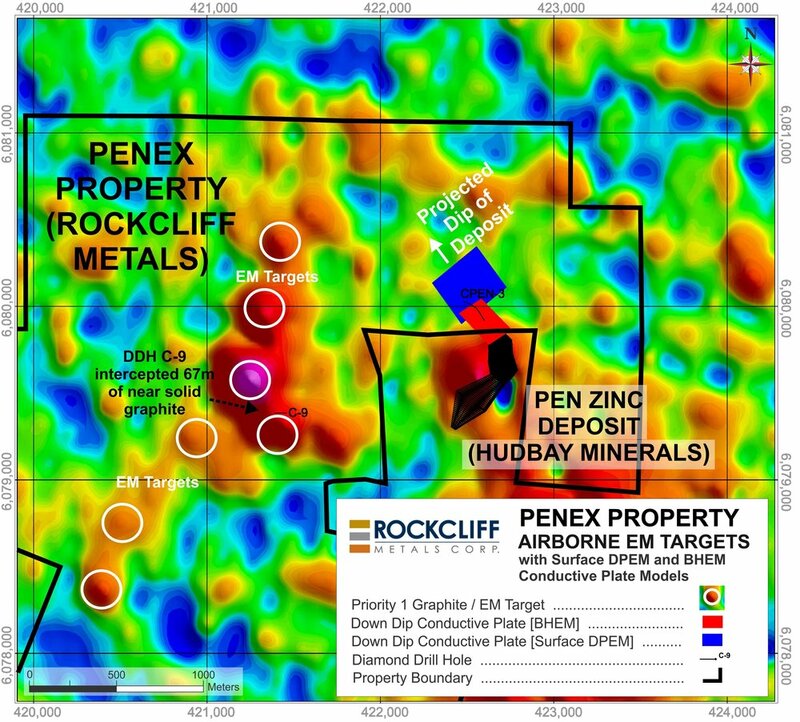 The Company is also pleased to announce that it will proceed with a 3 for 1 consolidation of its outstanding capital (the “Consolidation”) and a proposed $2.4 million non-brokered private placement (the “Financing”) of up to 16,000,000 post-Consolidation Flow Through Units (“FTU”) for proceeds of up to $1,440,000 and up to 14,000,000 post-Consolidation Working Capital Units (“WCU”) for proceeds of up to $980,000 (the “WC Offering”). Further to the approval by the Company’s shareholders obtained on October 19, 2017, the Company will complete a minor Consolidation of its issued and outstanding common shares on the basis of one (1) post-Consolidation common share for every three (3) pre-consolidation common shares resulting in a total of approximately 53,569,094 post-Consolidation common shares issued and outstanding following the Consolidation and immediately prior to completion of the Financing. No fractional common shares will be issued as a result of the Consolidation. All fractions of post-Consolidation common shares will be rounded to the next lowest whole number and such fractional common shares will be cancelled. Following the completion of the Financing, outstanding capital would be approximately 83,569,094 post-Consolidation common shares. After giving effect to the Consolidation, each FTU will be priced at $0.09 and consist of one (1) common share and one half (1/2) common share purchase warrant. Each full warrant (a “FT Warrant”) entitles the holder to purchase one (1) common share of the Company at a price of $0.15 per share for a period of two (2) years from the closing date of the Financing. Each WCU priced at $0.07 will consist of one (1) common share and one common share purchase warrant (a “WC Warrant”). Each WC Warrant entitles the holder to purchase one (1) common share of the Company at a price of $0.15 per share for a period of two (2) years from the closing date of the Financing. Eligible finders may receive a cash fee of up to 7% of the value of WCUs and FTUs sold and up to 7% of the number of FTUs and WCUs sold in the form of broker warrants. Each broker warrant issued in respect of the sale of FTUs (the “FT Broker Warrants”) entitles the holder to acquire one broker unit (an “FT Broker Unit”) at a price of $0.09, with each FT Broker Unit consisting of one common share and one-half of a FT Warrant, for a period of two (2) years from the closing date of the Financing and each broker warrant issued in respect of the sale of WCUs (the “WC Broker Warrants”) entitles the holder to acquire one (1) WCU at a price of $0.07 for a period of two (2) years from the closing date of the Financing. All securities issued pursuant to the Financing will be subject to a statutory four month hold period and regulatory approval. The Consolidation is to be completed and the Financing is expected to close on or before August 16, 2018 or such other date as agreed to between the Company and the subscribers.